The term “slow day” isn’t in Dave Musial’s vocabulary. Since he bought his dad’s heating and air conditioning repair service in 1994, the phones haven’t stopped ringing, and his company hasn’t stopped growing. Musial’s dad, Ken, started Four Seasons Heating & Air Conditioning, 5701 W. 73rd St., Chicago, in 1971, as a way to fill his time off as a firefighter. Then, when preparing for retirement, he sold his truck and tools to Dave, who decided to boost business by placing some ads. The response was overwhelming. He hired a few friends, but business kept exploding. His parents soon suggested Musial move the business out of their home near Midway International Airport. He did so, but quickly outgrew the new location. Three service trucks became nine, then 30, then 80, then 200. His office locations also kept growing. By 2004, he had moved into his fifth location, a 100,000-square-foot warehouse near a CSX intermodal hub. Today, Four Seasons Heating & Air Conditioning owns more than 350 trucks and manages between 500 and 600 employees, depending on the season. It serves nearly 100,000 customers per year from six Chicagoland locations. Technicians keep the trucks at their homes, which means speedy deployment to every corner of Chicago and its suburbs, including northwest Indiana. Musial says that about 95 percent of his customers are homeowners in need of repairs and installations. Last year, business was up 30 percent. So far this year, it’s up 6 percent. In fact, Musial says he has never had a down year. So how does he do it? A closer look reveals that there’s more to this picture. Consider, for example, that Musial insists upon hiring only the most qualified staff members. Every technician participates in a rugged 20-week paid training period that includes spending time in a Four-Seasons classroom and being supervised during on-the-job work. Even if technicians are experienced in the industry, Musial insists they follow his training program. 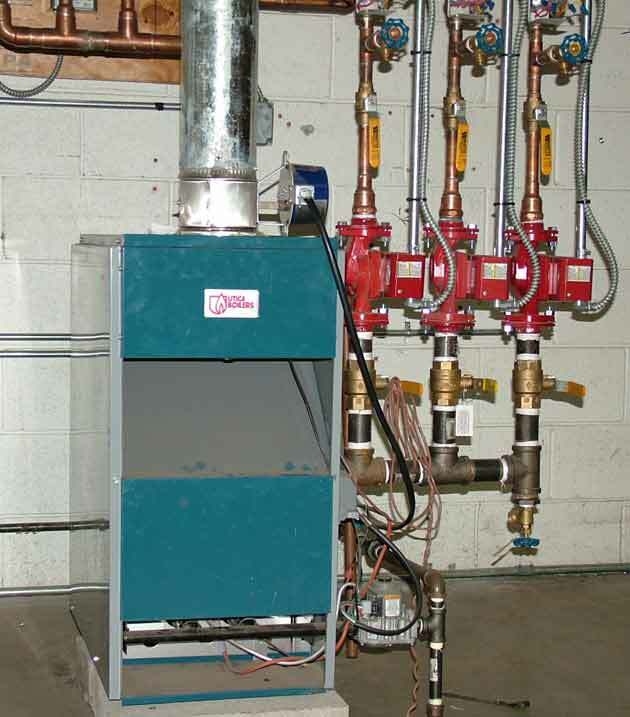 All technicians at Four Seasons Heating & Air Conditioning undergo a 20-week training period and practice on pieces of in-house equipment like this one. Inside Musial’s headquarters is a fenced-off classroom, where technicians work hands-on with the same equipment they’ll see in customers’ homes. There’s a simulated utility room, a practice attic and a basement crawlspace. The classroom is filled with equipment new and old, and technicians must uninstall, reinstall and repeat for each scenario. Before they even reach the classroom, prospective employees must pass Musial’s stringent hiring requirements. Drug testing, background checks and physical fitness evaluations are standard. Not everyone passes, and it’s worth the cost, says Musial. Musial prides himself on giving customers a good experience, and he’s not afraid to ask how his staff is doing. A follow-up team surveys every customer. For installations, an inspection team visits the home to assess the good, the bad and the ugly. Mistakes are fixed promptly, and technicians who make errors are reassigned to the classroom. There’s even a bulletin board in the office to show inspection photos of good work and bad work. Nearby is a list of the top 20 technicians, rated according to inspection reviews and customer surveys. The highest one garnered a 99 percent. His standards are tough, but he’s tough on himself, too. Musial never went to college, but has developed his business acumen out of practical experience. Mistakes, he says, are the most expensive, yet most worthwhile, educator. Musial never stops learning. He’s formed his company into a nearly self-sustaining system. Everything from vehicle repairs, oil changes and car washes, to training and recycling is done in-house. Even his mechanical parts supplier is based inside the warehouse, in a fenced-off 20,000-square-foot section. He’s even thinking green. Musial shows off boxes containing nearly 5,000 pounds of scrap metal from old units, waiting to be recycled. Used motor oil is burned to heat up the warehouse, and, says Musial, it pollutes no more than an old furnace. Even old air ducts are recycled, cut up into parts for new ducts. The down-to-earth manager is so focused on his customers that he’s looking for new ways to maintain the relationship. 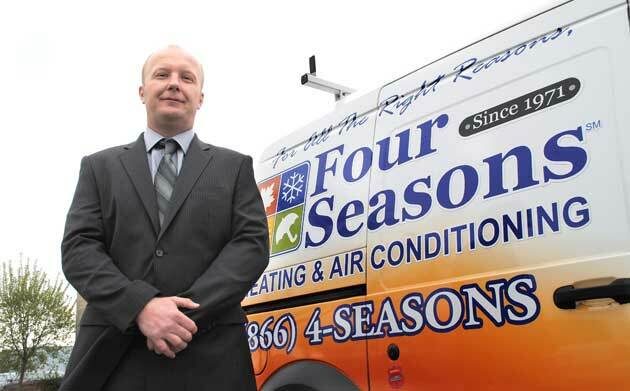 In 2004, he launched Four Seasons Home Service, which specializes in air duct cleaning and minor home repairs. The service was so popular, says Musial, that it doubled in its first year, and it’s quadrupled in the time since. He now employs 13 full-time handymen, 30 air duct cleaners and a licensed plumber. He plans to launch another home improvement business this fall. Relationships are a big deal to this dynamic business owner, and the customers have taken notice. Four Seasons maintains the highest rating from the Better Business Bureau, and it’s received a top award from Angie’s List, an online consumer ratings service. He also points to a wall of nearly 50 different service awards from a variety of manufacturers, recognizing his company as a top seller and installer. This entry was posted on Friday, May 20th, 2011 at 11:59 am	and is filed under Northwest Business Magazine. You can follow any responses to this entry through the RSS 2.0 feed. Both comments and pings are currently closed.